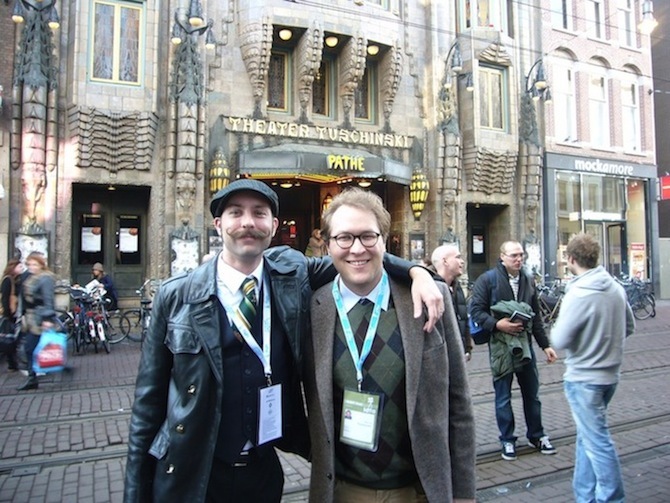 Gideon C. Kennedy and Marcus Rosentrater in front of the Tuschinski Theater for the world premiere of Clandestine at the 22nd International Documentary Film Festival Amsterdam in November 2009. 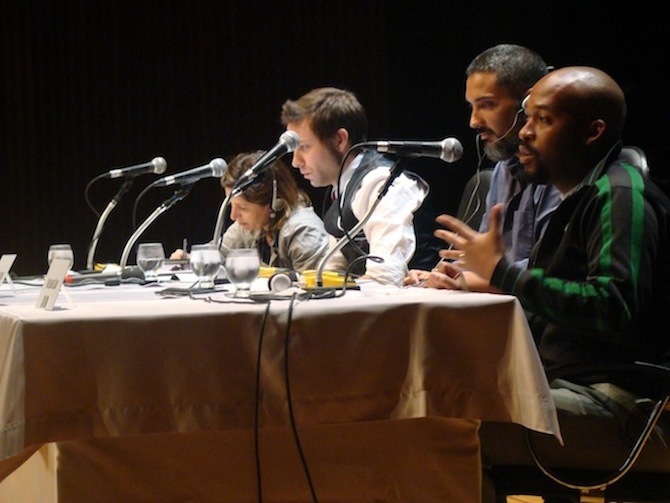 Table "A subtle border between reality and fiction," with (from right): Michelangelo Quay (USA / FRA), Paul Alcoforado (BRA), Gideon Kennedy (USA) and Malu Fontes (BRA). 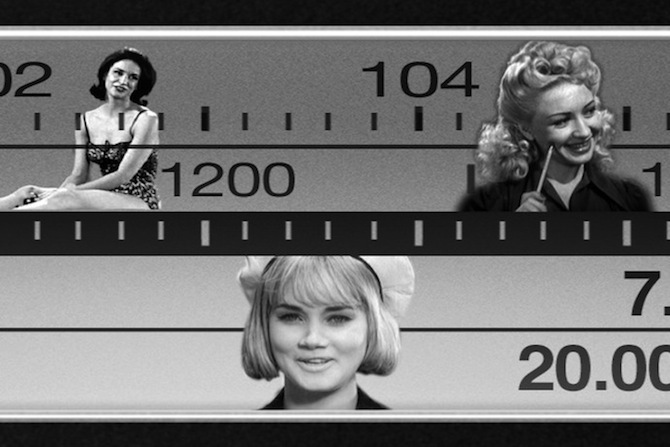 Courtesy of Semin´rio de Cinema e Audiovisual. 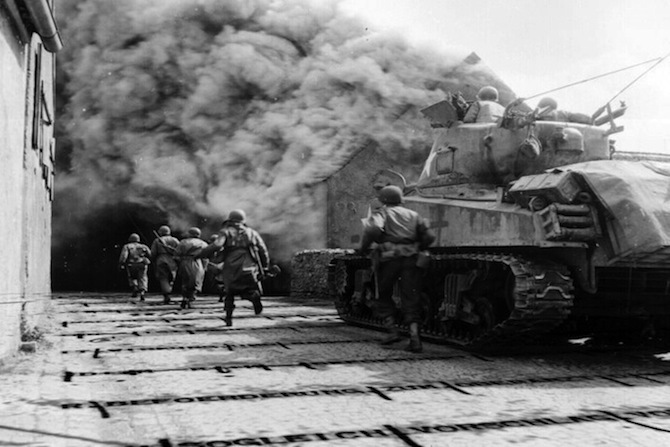 Numbers Stations cyphers pass under foot of American soldiers storming Berlin during WWII in Clandestine. 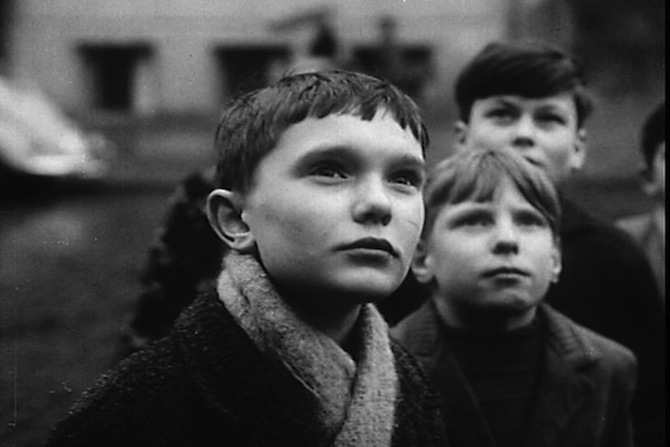 A group of children peer over the Berlin Wall as men across the world listen to spy broadcasts in Clandestine. Clandestine is told by re-purposing various types of free online ephemera, through meaningful visual effects. 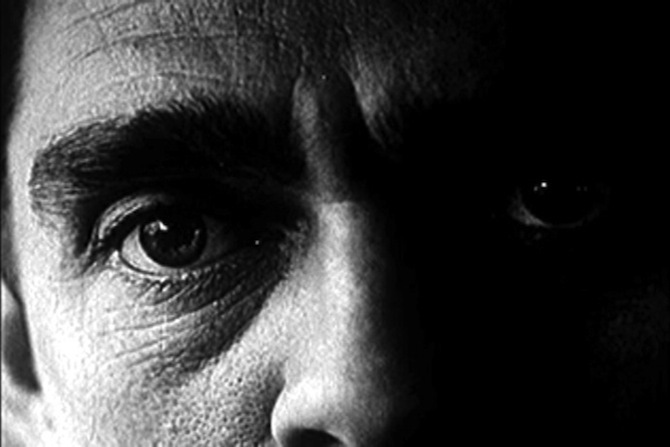 The faces of many men are used to represent the father, the spies, and sometimes the narrator in Clandestine. 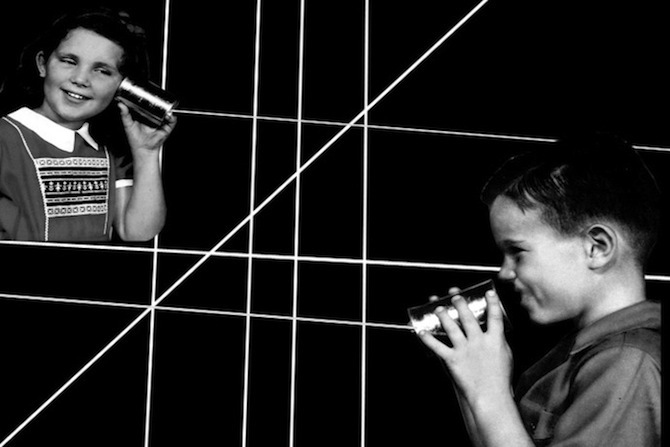 Two children communicate through the use of tin-can phones in Clandestine. 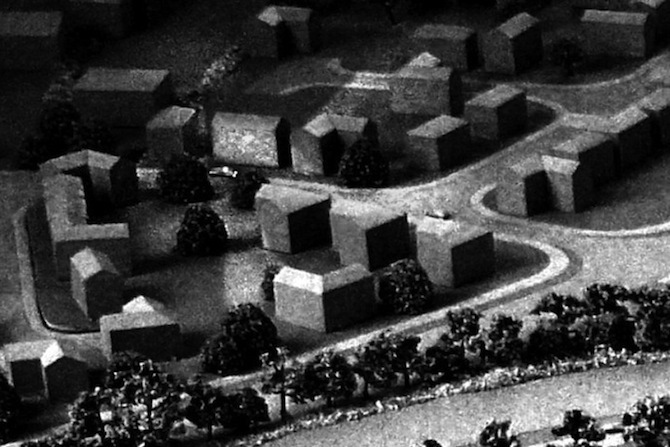 This scale model of GCHQ, in the U.K., is used to show the home of accused child molester and German Spy, Geoffrey Prime in Clandestine. 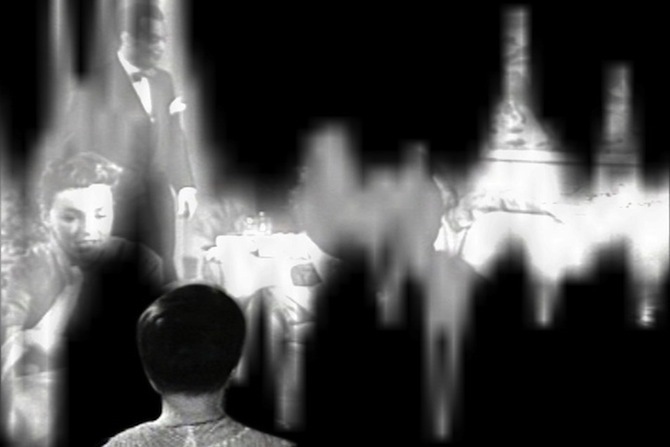 Clandestine alters archival footage to create literal and metaphorical meaning to the narrator's story. 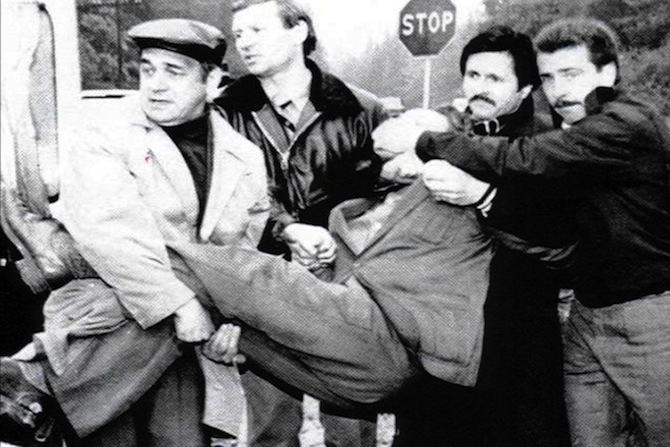 Adolf Tolkachev wrestles with KGB officers attempting an arrest. Clandestine documents the captures of nearly 10 different spies. 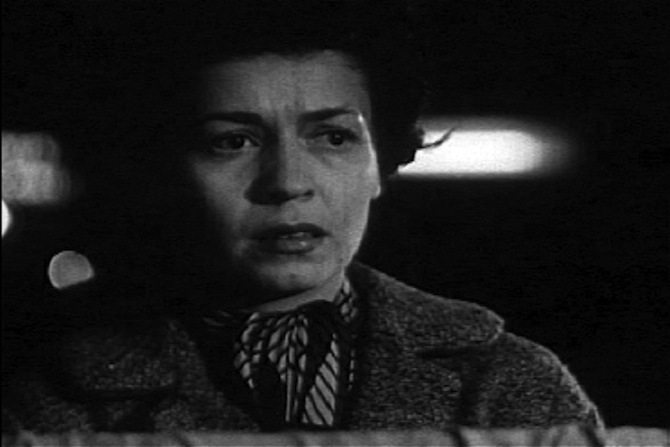 A woman finds her husband with another man as the narrator struggles with words to describe his fathers actions in Clandestine. 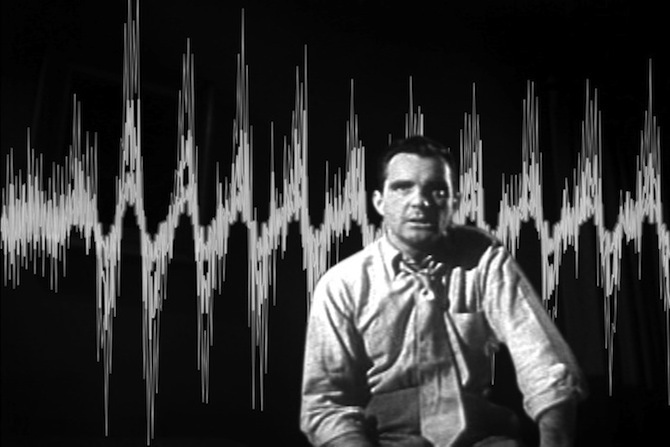 Clandestine's narrator wonders about the motives of the women who are the voices of Numbers Stations broadcasts.